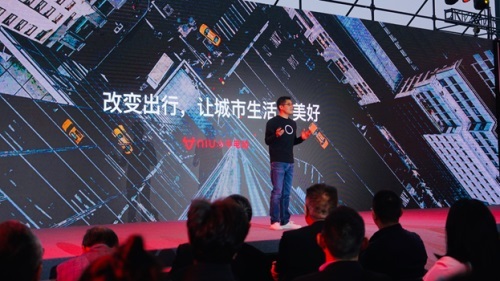 BEIJING, Apr 12, 2019 – (ACN Newswire) – NIU Technologies (\”NIU\”, or \”the company\”) (NASDAQ: NIU), the world\-\-s leading provider of smart urban mobility solutions, today announced that the company launched two all-new e-scooter models, the U+ and US, together with a new lifestyle brand category, NIU AERO. NIU AERO features high-performance sports bicycles with the spirit of \”BEYOND SPEED\”. \”Our customers value a scooter-riding experience that is convenient, joyful and safe,\” commented NIU Technologies\-\- CEO Dr. Yan Li. Li emphasized that NIU is delivering on this commitment, having sold over 640,000 e-scooters worldwide since inception. Those scooters have logged over 24 billion cumulative kilometers of riding pleasure in over 170 cities in China and 27 countries overseas. The new U models, U+ and US, feature an upgraded smart battery, which is the fourth generation of the Company\-\-s NIU EnergyTM technology. Featuring more power in a smaller, lighter form factor, this battery helps make the new U models completely compliant with the recently implemented National Standards for Electric Bicycles. Effective nationwide on April 15, 2019, those regulations limit the weight at which a vehicle can qualify as an unlicensed \”scooter\” rather than a motorcycle. NIU believes the regulations will redefine the two-wheeler industry in China, causing the rapid phase-out of traditional lead acid-powered scooters. NIU\-\-s modern lithium-ion battery technology enables it to easily offer compliant scooters that do not compromise on performance, safety, and style. The company today also launched its new lifestyle category NIU AERO, featuring high-performance sports bicycles with the spirit of \”BEYOND SPEED\”. NIU AERO includes professional mountain bikes and road bikes, offering a rich set of options for bicycle enthusiasts. Cycling is consistently gaining popularity because it represents a healthy and positive attitude, especially in metropolitan areas. NIU AERO bicycles incorporate the same design concepts that make the Company\-\-s scooters wildly popular: lightweight yet strong, integration of aerodynamics and ergonomics, and smart connectivity. NIU AERO intends to make the cycling experience more delightful than ever. NIU believes that micro-mobility is the wave of the future, as giant population centers around the world grapple with the issue of transporting growing populations quickly, safely, and pleasantly in a sustainable, environmentally-friendly manner. NIU\-\-s smart urban mobility solutions solve these issues by making urban life simpler, affordable and joyful, with faster transit, less congestion and zero emissions. NIU believes the market for its products spans the globe.